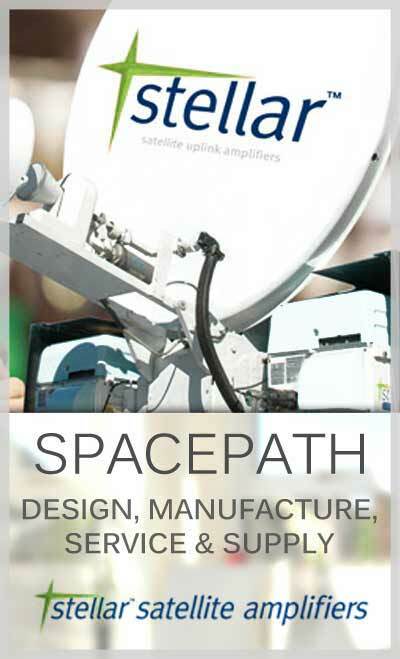 Spacepath Communications warrants the products against defects in workmanship and materials for a period of months as specified in the quotation provided, under normal use and service from date of shipment and to no further extent. To be considered for warranty any product must be returned with a Return Material Authorisation (RMA) to Seller's place of origin, transportation charges prepaid, within thirty (30) days after failure. Seller's obligation under this warranty is limited to, at the Seller's discretion, replacing or repairing or giving credit for any of said products and which are, after examination, determined by Seller to be defective. The return of products under this warranty that are found by the Seller to be free from defect, or to have been damaged by anyone other than the Seller, may be subject to an evaluation charge. Any product repaired or replaced under this warranty shall be warranted only for the remainder of the original product's warranty period. This warranty shall not apply to any product which shall have been repaired or altered, except by Seller or which shall have not been maintained in accordance with any handling or operating instructions supplied by Seller or which shall have been subjected to extensive physical or electrical stress, misuse, abuse, negligence, improper installation, facility power loss or accidents. The aforementioned provisions do not extend the original warranty period of any product, which has either been repaired or replaced by Seller. Seller shall not under any circumstances be liable to buyer for incidental, special or consequential damages for loss of whatever nature arising out of or in connection with or resulting from the sale by seller or the resale or use by Buyer of any product(s) and/or services delivered hereunder. This warranty is stated in lieu of all other warranties, express, statutory or implied, or otherwise made including but not limited to the warranty of merchantability and fitness for a particular purpose and of all other obligations or liabilities on Seller's part in connection with the sale of said products, Seller neither assumes nor authorises any other person to assume for seller any other obligation or liabilities in connection with the sale of the product(s). Products that have been repaired or replaced under warranty will be re-warranted to the end of the original period of warranty of the repaired or replaced product or for three months, whichever is longer. The expiry of the original period of warranty for the purposes of re-warranty will be extended to take account of the duration of the interruption of use as a result of the failure under warranty.